The intervention’s aim is to offer the visitor the experience to enjoy Ibizas fabolous landscape in a different natural way. Moreover, the strategy is to reinforce and empower the sites characteristics, without damaging it. A contemporary view of the landscape, a delicate intervention at a territorial level. With the use of an elements repetition and its variants, a pathway is surveyed and new programatic spaces, -adecuate to the different areas- are created. Depending on its position and density these elements create different situations managing to adapt each use to every type of natural space. In addition, this element, that varys in height and section, is interiorly fabricated in methacrylate and exteriorly in polycarbonate, with a stainless steel base. It counts with a solar energy caption mecanism allowing its illumination. Nowadays, architecture’s most important goal is to be able to adapt correctly to the surrounding and its necessities. 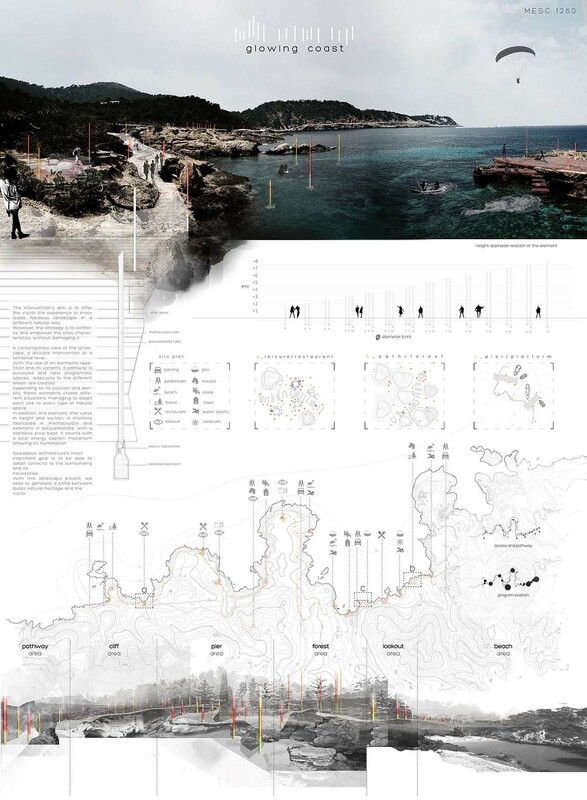 With this landscape project, we seek to generate a bond between Ibizas natural heritage and the visitor. Without paying money we could get playstation card codes from psn code generator which works online only. I see a winner ! This is the best project ! This gorgeos project not only deserves to take the first place, it should be implemented as quickly as possible as it both blends in and improves its environment. "Wow" fails to accurately portray the grade that this beauty truly deserves. Amazing project! Willing to see it get the merit it deserves! ¡Se adapta muy bien al entorno! ¡Muy buen proyecto!